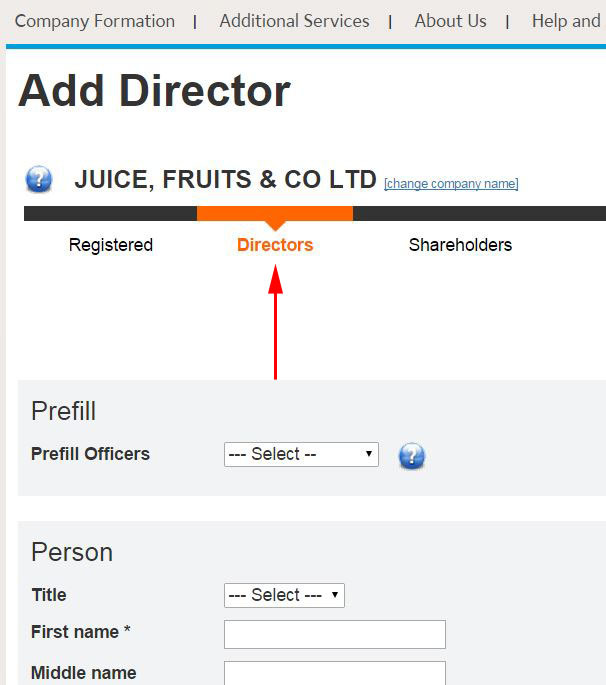 When in the company registration, go to the Directors section. Next to 'To make a corporate appointment', click the click here button. Continue filling out the rest of your company registration and submit it. Once your company is incorporated (within 3 working hours), you'll be able to see all your company information when you log into your account. Please note when appointing a corporate director, at least one human director is also required. Go to My Companies (login required), and then click on your company name. Scroll down to 'Directors' and click Appoint New Director. Next to "To make a corporate appointment", click the click here button. Enter the information and click the Continue button. Your request will be sent to Companies House for approval. We will email you once it has been accepted, normally 3 working hours. Once Companies House have successfully accepted your request, click the Sync Data button at the top of your company details page to update our system. Please note you need a valid authentication code to complete the above action.